Of course the complaint you are appointed to adjudicate stems from my election flyer delivered during BC’s recent provincial election arguing Mr. Oger is a biological male and that his so-called transgender activism and proven history of wanting legal protection for his fake identity enshrined into law, is incompatible with God’s will for humanity and what I perceive to be good government. 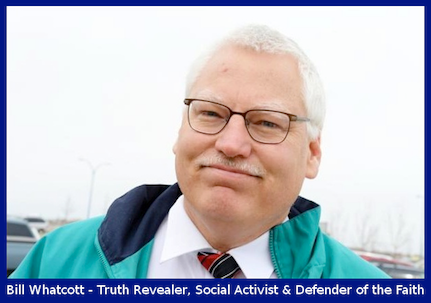 Your letter to me on British Columbia Human Rights Tribunal letterhead clearly indicates you believe punitive measures employed by state organs (even before the case goes to trial) are an acceptable measure to employ to prevent me from arguing what I argued in my election flyer (that the NDP candidate for Vancouver False Creek is a gender confused male). Hence, it appears to me that the ruling you will make is already decided in favour of LGBT falsehood and you simply want me to politely go along with this fraudulent process, so that your ruling which will be an affront to democratic freedom and the right to speak what is true can have a veneer of legal respectability. Please be advised I have no interest in cooperating with such a biased and fraudulent process and I will not use the fake pro-nouns you prescribe “she” or “her,” nor will I use Ronan’s transvestite fantasy name “Morgane,” even if the government gave him a birth certificate with that obviously feminine name, nor will I use your gender neutral alternative “the Complainant,” as I believe to do so will mean I am cooperating with LGBT tyranny and falsehood. I am only open to using male pronouns when referring to biological males, or as a possible compromise if the Tribunal and Ronan’s counsel finds it acceptable, I can refer to Ronan in this process as the “biological male.” Various media reports even while calling Ronan a woman acknowledge he was born a biological male and I assume the Tribunal and Ronan’s lawyer acknowledge the reality that Ronan is a biological male, even as you insist the Defendant and presumably all BC residents refer to him with female or gender neutral pronouns. If you find the term “biological male” unacceptable when referring to Mr. Oger and you have no acceptable (to me) alternative, then please be advised I will continue to use Mr. Oger’s birth name and male pronouns when referring to him, as God has clearly created him male and you should have no authority to coerce me into saying otherwise. 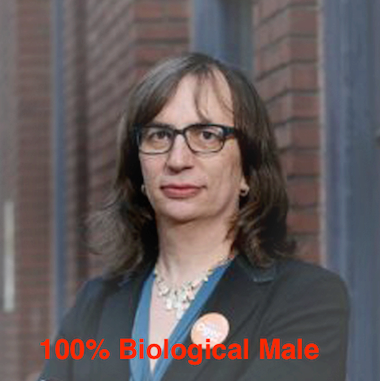 In the absence of a mutually acceptable compromise on how to address Ronan Oger, the NDP Vancouver-False Creek candidate, who is now a human rights complainant because I referred to him as a biological male; I will continue to speak what is true regardless of any financial penalties or other measures you decide to impose on me.